It is probably no surprise that my clients sometimes are struggling with their utility bills. A New England winter (particularly this past one) can cause even those of us not in financial crisis to stress over the cost of heating our homes. For those already struggling with medical bills, credit card debt or an out of control mortgage payment, coming out of the long cold winter can easily see hundreds, if not thousands owed to their local gas company. Electric bills and telephone bills can easily rack up as well. Many of my clients (mistakenly) assume that utility bills are somehow immune from bankruptcy protection. That is simply not the case. All utility bills that are in arrears can be included in your bankruptcy schedules and discharged along with, among other things, your medical bills, personal loans, credit cards, and personal liability under a mortgage. But the real question many of my clients ask is will I still be able to get these utility services to my home if I discharge the debt in my bankruptcy case? This protection under §366(a) does not last forever, however. The utility company is not expected to simply continue providing service with no expectation of payment forever. Within 20 days of the petition date, the debtor may be required to “provide adequate assurance of payment” to prevent the utility company from shutting off service. See §366(b) (“Such utility may alter, refuse, or discontinue service if neither the trustee nor the debtor, within 20 days after the date of the order for relief, furnishes adequate assurance of payment, in the form of a deposit or other security, for service after such date. On request of a party in interest and after notice and a hearing, the court may order reasonable modification of the amount of the deposit or other security necessary to provide adequate assurance of payment.”) That means that you could be required to provide a deposit, a letter of credit, prepayment or some other such “assurance” that you will begin making regular payments. If you do not provide such assurance within 20 days of your bankruptcy petition* or if you do not make timely payments after you’re bankruptcy case is filed, the utility company can cease service. 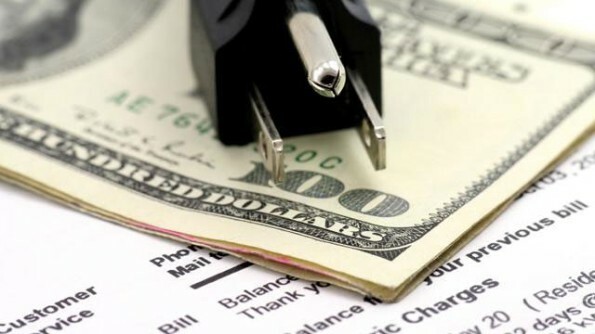 It is very important that those utility bills that are in arrears (i.e., those that you are behind on) are included on your bankruptcy schedules so that the outstanding bills will be discharged with your other debts. It is simply a bankruptcy myth that your utility bills cannot be discharged in bankruptcy. In practice the utility company will generally start you on a new account as of the day of your bankruptcy petition. The old account will be dedicated to the pre-petition period, and if the individual filer’s case is successful the debt under the old account will be discharged in a Chapter 7, Chapter 11, Chapter 12 or Chapter 13 bankruptcy. Like a cell phone contract that is too much to handle, utility bills are typically not the driving force behind a decision to file a personal bankruptcy. Nonetheless, an inability to keep current with utility bills may be a symptom of an overall debt crisis. If you or someone you care about is struggling to meet the demands of creditors, including utility bills, schedule a free consultation with an experienced bankruptcy lawyer who cares about his clients today. Contact the Law Offices of James Wingfield at 508-797-0200, visit the contact page on our website or fill out the form below to email me directly.